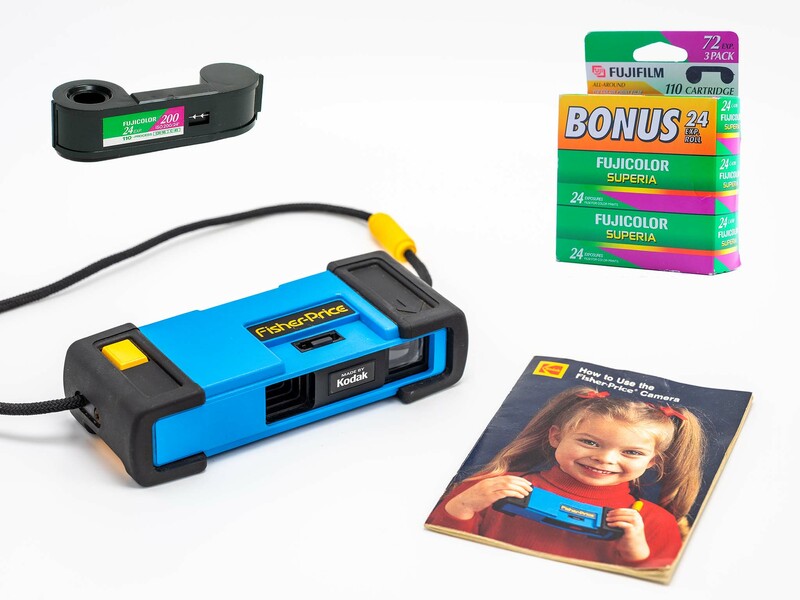 Today in a joint press release with Fisher-Price Fujifilm announced that they will rerelease Fujifilm FujiColor Superia 110 film after discontinuing many other formats (1, 2, 3, 4). This marks the first time Fujifilm has brought a film product back to market and it is to support an anniversary camera developed by Fisher-Price and Kodak 35th years ago. Fujifilm along with Fisher-Price Kodak undertook this project largely because the Fisher-Price 100 was many photographers first camera and they felt 35 years was an important milestone to celebrate. Much like the Brownie Box camera of previous generations the Fisher-Price Kodak 100 is iconic and it’s time to celebrate. In a separate statement the man behind the Fujifilm X100 and X series of cameras, Masasumi Imai, stated that he was happy to see the Fisher-Price 100 again as he had fond memories of the camera and Fujifilm FujiColor Superia 110 film. Fujifilm and Fisher-Price Kodak hope the camera will inspire a new generation of photographers going forward as young hipsters that never really experienced the golden days of film have children. This demographic in particular has embraced Lomo photography and the headaches that come along with it and Fujifilm along with Fish-Price Kodak hope to help them share their joy of film with their children because film is not dead yet. This entry was posted in Press releases and tagged 110 Film, Fisher-Price 100, Fuji Rumors, Fujifilm, Fujifilm FujiColor Superia 110, Fujifilm FujiColor Superia 110 Film, Fujifilm Rumors, FujifilmRumors, Fujirumors, Kodak. Bookmark the permalink. Trackbacks are closed, but you can post a comment.